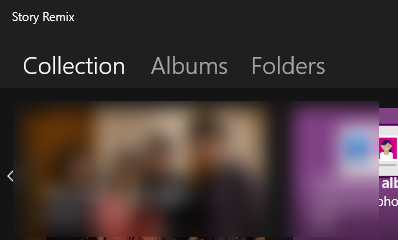 Microsoft might be planning to rename Photos app to Story Remix on Windows 10. The company rolled out an update today for the users on “Skip Ahead” ring which changes the name of Photos App to Story Remix. 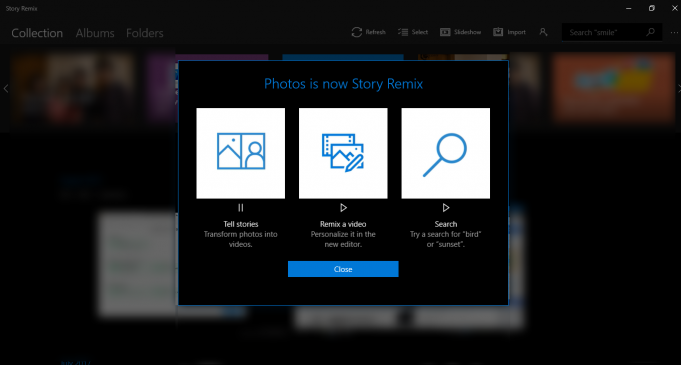 Microsoft Photos being renamed to Story Remix isn’t a surprise to see as the company said in the past that they will have a standalone app for the new Story Remix experience in Windows 10, but it was only integrated inside the Microsoft Photos app. Senior Program Manager Brandon took Twitter to confirm that the name change is not final yet and they are actually working on different names and as usual Windows Insiders can drop to give ideas to the team. 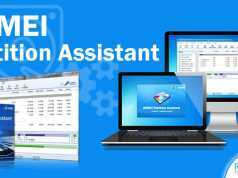 The app doesn’t carry any other changes apart from this and if you happen to stumble upon any new changes then let us know in the comments section below. 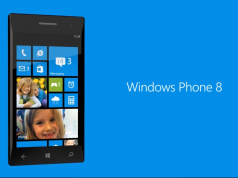 Also, let us know if you like Story Remix to be a separate app or as a part of Photos App. Previous articleNokia 8 is now official! Here is all you need to know! Next articleAndroid O releasing on 21st August 2017, could be called Android Oreo!